Rusty Lake Hotel is a weird and quirky adventure game set in a creepy hotel. It is a surreal point-and-click take on Anderson’s iconic movie, The Grand Budapest Hotel. 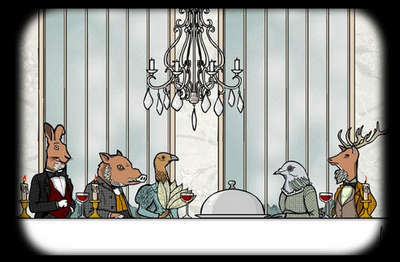 The game revolves around a host of anthropomorphic animal guests staying at the hotel. Each night, you must prepare dinner for the guests, solving tricky puzzles along the way and gathering the necessary...meat for the recipes. 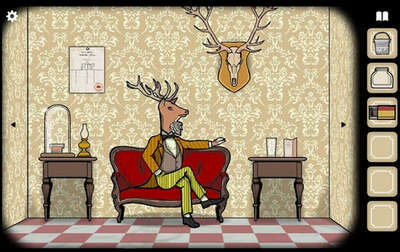 Your objective is to ensure that five diners staying at the Rusty Lake Hotel have a pleasant stay.